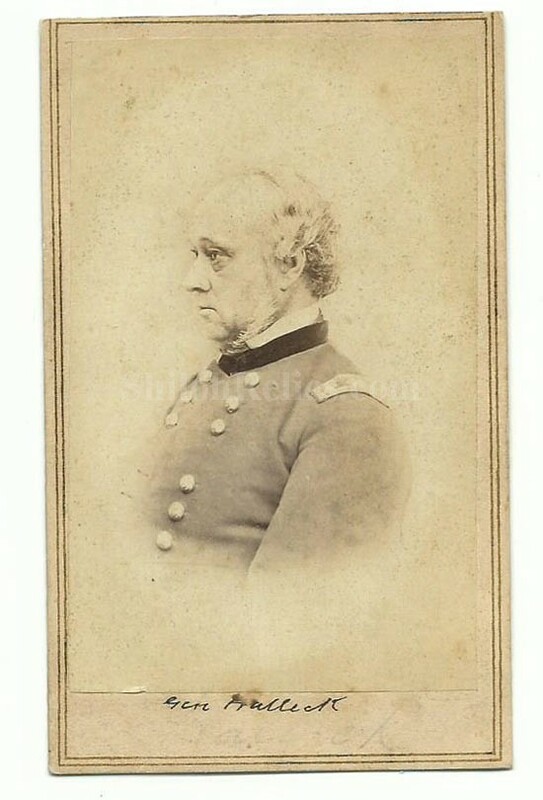 This is an authentic CDV image of Union General Henry Wager Halleck (1815-1872). Halleck was born in New York and graduated third in his West point class of 1839. Because of a recommendation from Winfield Scott Halleck was made a Major General in the Regular army from August of 1861. Halleck won praise early on because of the Union victories of his Generals at Fort Henry & Donelson and then Island #10 and Shiloh. After his loss at Corinth he was called to Washington by Lincoln. He spent the rest of the war mainly doing work of raising men and material. It is a nice clear chest up view CDV of the General in uniform. The CDV images were made by applying a thin paper photo image of the famous person of the day to a heavier paper card. This made the image more durable and easier to display and also added uniformity to the size. The overall size of a CDV image is approximately 2.5 inches by 4 inches in size. 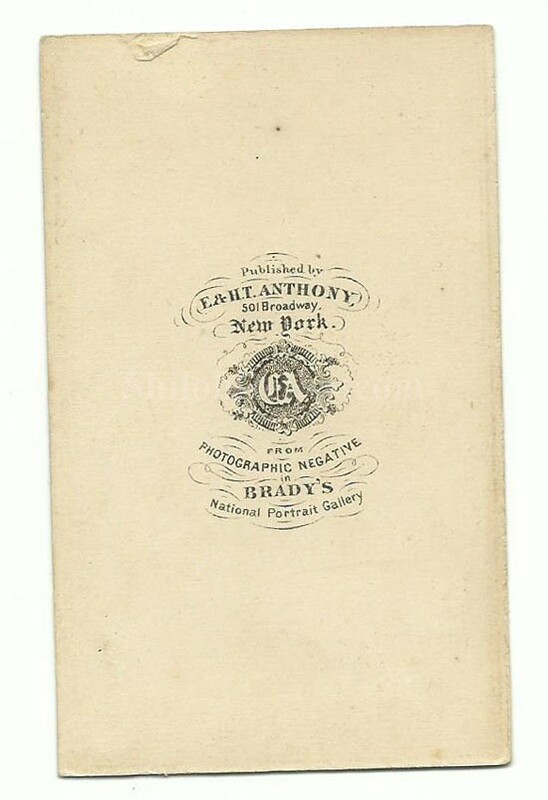 On the back of the card it has the desirable photographer's Mark of the Anthony firm of New York and notes that the image was made using one of Matthew Brady's photographic negatives. It is a fine original CDV that will make a solid addition to any Civil War collection.